Pakistan Army Corps of Engineers have always taken up real life challenges and acquitted themselves commendably; may it be operations of war, disaster relief or nation building works. The Northern Areas of Pakistan are well known for their most difficult terrain and weather conditions the world over. Interestingly, India's treacherous annexation of Kashmir soon after partition of the sub-continent in 1947 obliged the then Royal Pakistan Engineers to traverse their first steps up the renowned "Roof of the World". At that nascent stage of their establishment they were finding it extremely hard to recover from the most unjust and discreminatory distribution of assets of the Royal Indian Engineers, merely a fraction having come the Pakistan's way. Nvertheless, they measured up to the exacting challenges of combat engineer support, vis-a-vis mobility, counter mobility and survivalability and helped Pakistan Army effectivly halt the Indian aggression. 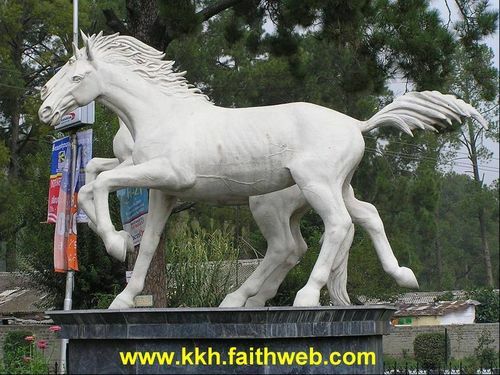 Pakistan Army first upgraded 198 km mule track in 1948, making it jeepable from abbottabad up to Chilas, followed by construction of an all weather 400 km INDUS VALLEY ROAD (IVR), connecting Swat with Gilgit, from 1958 to 1966, and then took up the monumental 800 km KARAKORAM HIGHWAY (KKH), link to China fron 1966 - 1978, befittingly proclaimed the 'Eighth Wonder of the World'. Since the construction of the KaraKoram Highway, there was a need to document and record the events of the construction of KKH, also to pay tribute to those brave and courageous sappers who laid down their lifes for the construction of this highway. The project of HISTORY OF KARAKORAM HIGHWAY is being undertaken by vetern sapper officer BRIGADIER (RETIRED) MUHAMMAD MUMTAZ KHALID of Pakistan Army Corps of Engineers with the support of Eingineer-in-Chiefs Branch and Frontier Works Organization. Part I of the book "HISTORY OF KARAKORAM HIGHWAY - INDUS VALLEY ROAD" has been published and Part II will be published shortly. 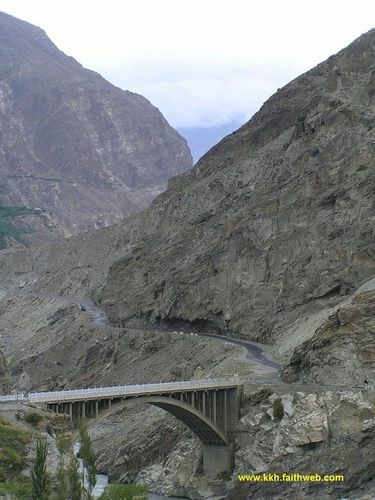 In this website an endavour has been made to acknowledge the efforts of Brigadier Muhammad Mumtaz Khalid and let the world know about the present and past of the KARAKORAM HIGHWAY.